It was only a few days ago when the first pictures of the LG LU6200 emerged, causing a stir in our geeky hearts. Today, we have live shots of the device for you and, finally, we get to see its HD screen in its full glory. The AH-IPS LCD display with HD (720 x 1280) resolution, featured in the upcoming LG flagship has already made quite a splash by winning a prestigious award. There is absolutely no doubt that it will be the droid's biggest highlight. As far as the rest of the device's rumored specs go, you can go ahead and check them out here. I can't wait for thus device to come to US! Looks impressive spec wise. A true competitor against the Nexus Prime. 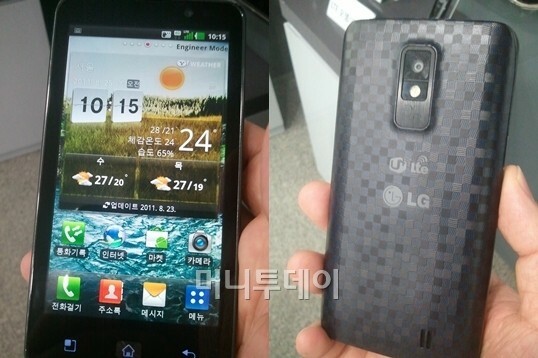 Good job LG now bring this to USA!